Click on the map to see where are devised and produced your favourite candies, chocolates and chocolate powders. 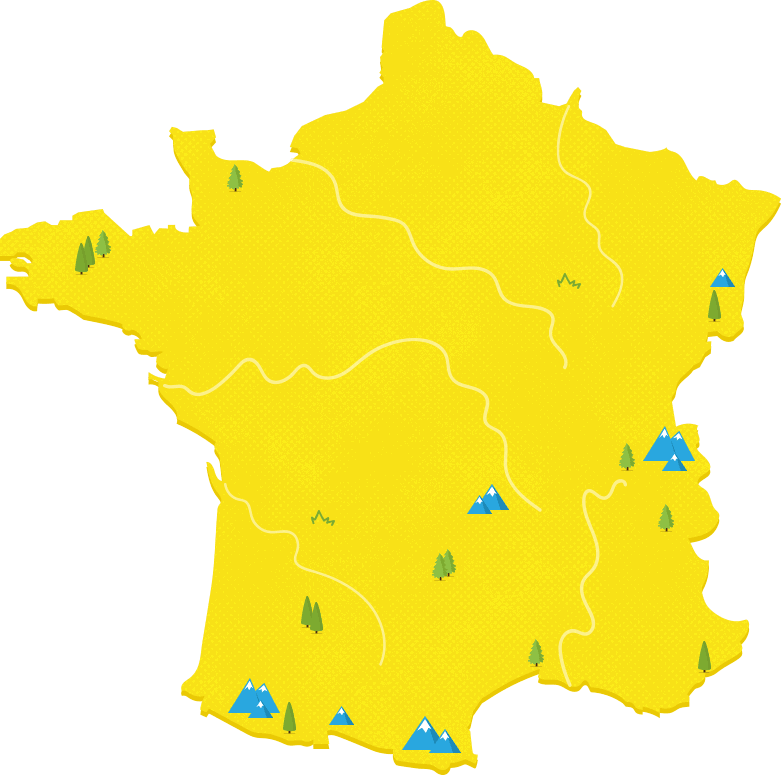 Our products are the outcome of a 100% French know-how. We are very proud of this! “No kidding! 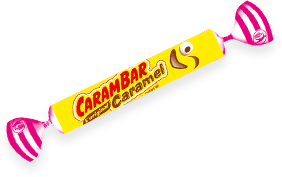 The Carambar was born here, in 1954, and has always been produced in Marcq-en-Baroeul. By the way, did you know that, if you line up all the Carambar produced every year, you can travel the earth twice! 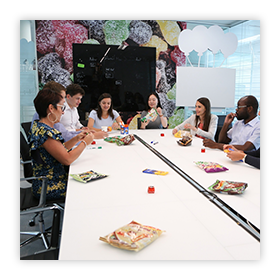 What a performance as, at the same time, our 150 employees contribute to the production of the delicious Michoko and Gom’s for a total of 10 000 tons every year”. “All you can see around me was imagined by Jean Nouvel at the beginning of the 90’. He designed the whole factory that was located, before, in the city centre. What a challenge! So now, I imagine that you want to discover what we produce? 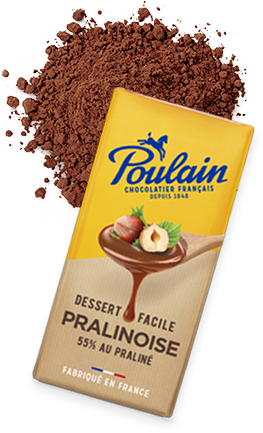 It is simple, you just have to taste the Poulain’s range of chocolate powders and tablets, the perfect choice for your breakfasts and after-school snacks”. “At Saint Genest, no time to “make bubbles”! We produce the Malabar, Kréma and La Pie qui Chante’s products. It is a daily-challenge, but it remains a great pleasure! In a way, we are the experts of soft and hard candies, bubble-gums and jellies”. « Proud of its History, this chocolate factory was built almost 100 years ago, in the heart of the city of Strasbourg. Created by Poulain, it has been owned by Suchard since 1931. It is a bit like a big family settled in its territory for several generations. Implementing a process of Sustainable Development for more than 5 years, nested in the greenery, that site is a place where it is good to work.